Disinfectants for the veterinary clinic inactivate and kill off pathogenic microorganisms. In this category, you will find high-quality disinfectants for diverse uses in veterinary medicine. Practice laundry and pet blankets can be hygienically washed and disinfected using the detergent disinfectants on display, here. From wipes and foam sprays to concentrates - Here, we offer a diverse range of surface disinfectants for use in veterinary medicine. Here, you'll find a huge selection of skin antiseptics and hand sanitisers–perfect for veterinarians! 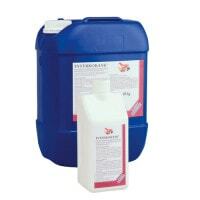 Buy instrument disinfectants in the form of liquid solutions, powders and disinfection sprays from Praxisdienst-VET. 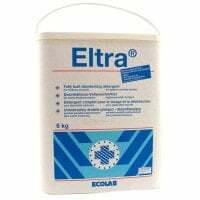 This category contains cleaning agents and disinfectants for stables, barns and outdoor facilities. In this category, you will find solutions, sprays, gels and pastes for wound disinfection and cleaning. 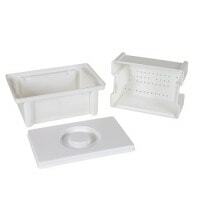 This section offers the complete range of accessories for the disinfection of practices and barns. As well as test tube brushes, you will also find dosing pumps here. Disinfectants for the veterinary clinic find various applications in veterinary medicine and are composed based on purpose of use. The goal of disinfection is to make pathogens harmless, preventing an infection or transmission of infections. Special detergents with disinfecting effects are used for professional, hygienic washing of textiles that are used in veterinary medicine. 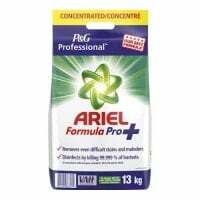 Disinfectant detergents disinfect textiles when washing at an increased temperature (typically 60°C) due to a chemothermic reaction that takes place. Following treatments and exams with each patient, the tables must be cleaned and disinfected in order to prevent transmission of pathogens to other animals. The surfaces of treatment counters should also be frequently treated each day with a surface disinfectant. 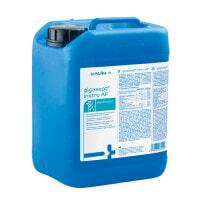 In our assortment, you will find liquid disinfectants and wipes for disinfecting surfaces. 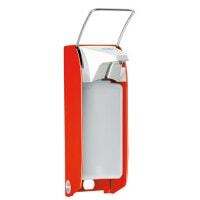 Hand sanitisers and skin antiseptics are used for reducing the resident and transient flora on the skin. These differ in required activation time and spectrum of efficacy. Whether for hygienic or surgical disinfection prior to punctures or injections, Praxisdienst offers you a wide selection of hand sanitisers and skin disinfectants for use in veterinary medicine. 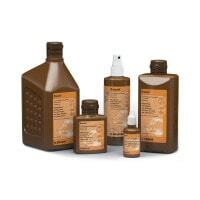 When reprocessing reusable veterinary instruments, disinfectants that are specially developed for surgical instruments are used which do not damage the material of the instruments, even after multiple uses. Veterinarians can purchase affordable cleaners and disinfectants for instrument reprocessing and professional cleaning of rigid and flexible endoscopes from Praxisdienst. On stud farms, ranches and in animal shelters, thorough disinfection of the stalls and cages is important in order to protect the animals from parasites and pathogenic microorganisms. The efficacy, spectrum of efficacy and application differ. 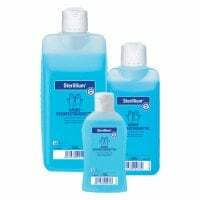 Stall disinfectants like Inter Ex Spray from Interhygiene are ready-made insecticide sprays which can be used to fight flies, mites, ticks and other parasites and insects. 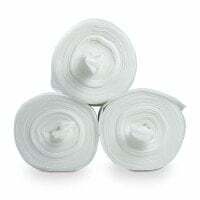 Wound disinfection lays the groundwork for optimal wound healing. For injuries or for pre and post-operative use, disinfection reduces the risk of the occurrence of infections and promotes the healing process. There are many wound disinfectants available to the veterinarian, which differ in composition and ingredients. In our online shop, you will also find solutions, ointments and sprays for antiseptic wound cleaning and disinfection. In order to achieve effective disinfection of instruments and other reusable veterinary products, one must strictly adhere to the dosage suggestions for the individual disinfectants. 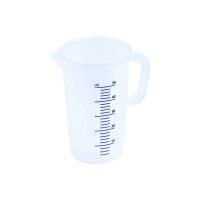 Clearly arranged dosage tables and measuring jugs are used to prevent one from needing to calculate the mixing ratio of the disinfectant solution prior to each use. 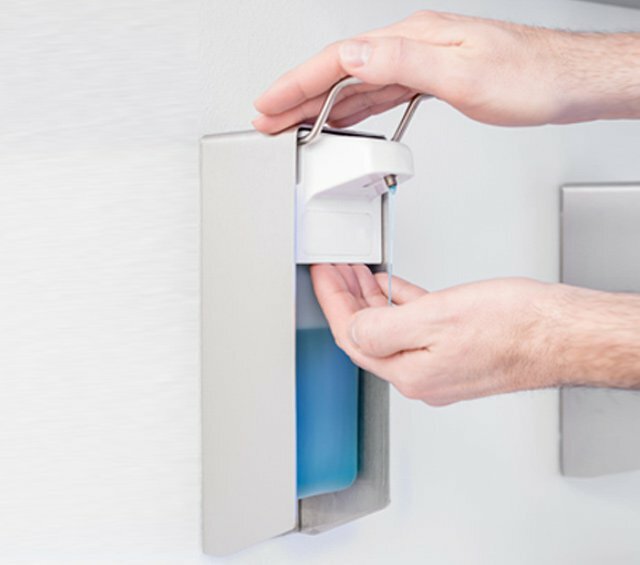 You can purchase affordable products for creating ready-to-use disinfectant solutions, as well as cleaning brushes and disinfection basins from Praxisdienst. Do you have questions about disinfectants for the veterinary practice or could you not find the proper product? We are here to help via email, chat or telephone.